Apple announced a refresh of its MacBook Pro line-up yesterday, and aside from one major feature, it was mostly an iterative update. That’s disappointing, given how long it’s been since Apple last overhauled the design and hardware of its flagship laptop. Plus, it was just the previous day that Microsoft stunned the tech industry with its innovative Surface Studio, which represents the company’s forward-thinking approach to computing. It’s not that the Touch Bar is a bad feature in itself: the OLED multitouch display, which brings up contextual buttons and controls for the apps you’re using, might well find a fan or two. But it seems rather gimmicky and not as well thought out as it could be. If you’re editing photos or video, for example, you’ll probably want to work with a large external display – heck, even I use one to make it easier to write. That means your laptop – and the integrated Touch Bar – will sit beside the display, either open or shut and entirely beyond arm’s reach. It’s not useful for the advanced creative applications Apple is so excited to see its customers try it on. Secondly, it’s a poor stand-in for a fully responsive multitouch and stylus-compatible display. Having built the iPad Pro, Apple already has the know-how to make this happen, but it chose to avoid including a touchscreen – even when its laptops are priced high enough to accommodate expensive components. The inclusion of a 13-inch MacBook Pro without the Touch Bar in its line-up also doesn’t inspire confidence in the concept. Who is this for? It’s also not exactly new. Razer debuted a similar concept called Switchblade in its Blade gaming laptop back in 2012. That doesn’t knock off points from the utility the Touch Bar can offer, but it proves that Apple isn’t thinking as far ahead into the future as it once used to. Again, all this is not to say the Touch Bar itself is a terrible idea – but it isn’t all it could be. The cheapest Touch Bar-equipped computer you can buy, the 13-inch MacBook Pro’s base model, comes in at $1,800. Sure, Macs are known for their longevity and impressive build quality, but that’s an awfully high asking price for a device with tech that hasn’t yet proven to be popular. And as Quartz noted, the costs of these new laptops are hard to justify when you consider the prices of upgradable components and what they go for outside Apple’s storefronts. Choosing a 1TB SSD instead of the standard 512GB drive on the 13-inch variant will set you back by an extra $400; meanwhile, you can pick up a 1TB SSD that claims similar performance for $468 on Amazon. Apple’s math just doesn’t add up. It’s likely that the new MacBook Pros will impress testers with their performance. But if you’re paying top dollar for them, where’s the innovation? It’s not only Apple that’s guilty of this; Microsoft’s gorgeous Surface Studio also costs a pretty penny (300,000 pennies, to be precise). The major challenge with new technology is making it affordable, and neither company has really managed to overcome this. One of the main draws to Apple products is the unified ecosystem, but it looks like the company is getting sloppy in maintaining that. The USB-C-equipped MacBook Pros can’t connect to your new iPhone 7 unless you buy a $20 adaptor or a new cable. Similarly, you can’t connect your Lightning earbuds to your new laptop. There isn’t really a good reason for this. Apple seems hell-bent on sticking with Lightning connectors for some devices, even though it’s pushing forward with USB-C ports. The only saving grace in this regard, as our own Napier Lopez noted, is that the MacBook Pro comes with a good ol’ 3.5mm headphone jack. Thanks, Apple. 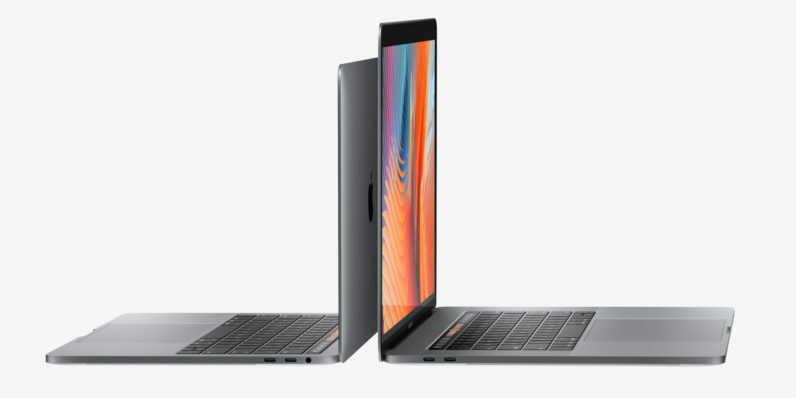 With the launch of the new lighter and thinner MacBook Pro, Apple is killing off its more affordable MacBook Air. The 11-inch model has been retired completely. While the 13-inch model remains, it’s unlikely to see another refresh. This move is incredibly unpopular. Many people who’ve owned one for years still swear by it, and yet the company is ready to ax a capable computer without offering a similarly priced alternative. Around that price, your options are now limited to the $1,300 12-inch MacBook or the new Touch Bar-less 13-inch MacBook Pro at $1,500. For just the difference in price between those and the now-deceased MacBook Air, you could pick up a Chromebook or two. Ultimately, it’s clear that this is not Apple’s finest hour. The company did its best to talk up its new products on stage yesterday with flashy visuals and fancy voiceovers, but the wishy-washy presentation only served to expose Apple’s inability to innovate as it once did.